Fall polish collections are in full swing and while I am hanging onto summer shades for at least a few more week, that hasn't stopped me from picking up some new fall shades. 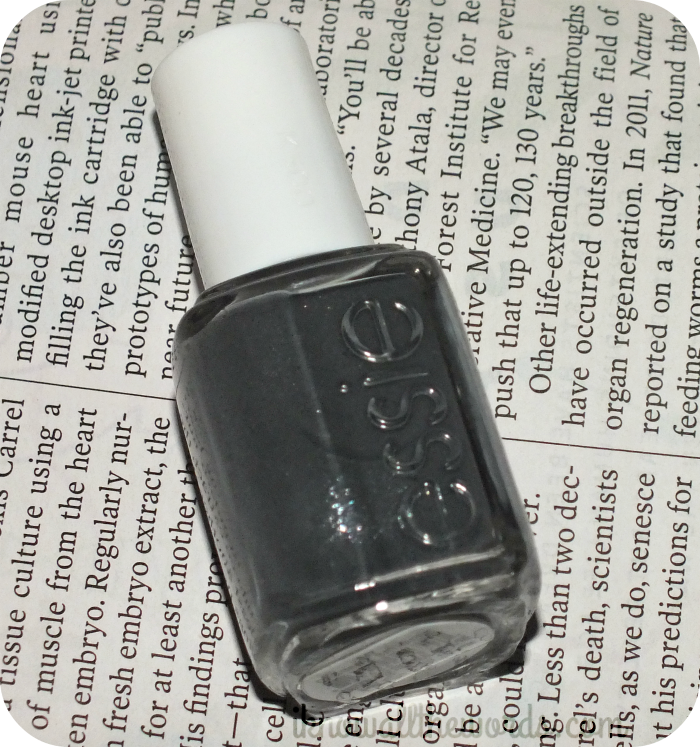 Essie launched their 'For the Twill of it' collection which included one shade in particular that I just had to have- Cashmere Bathrobe. 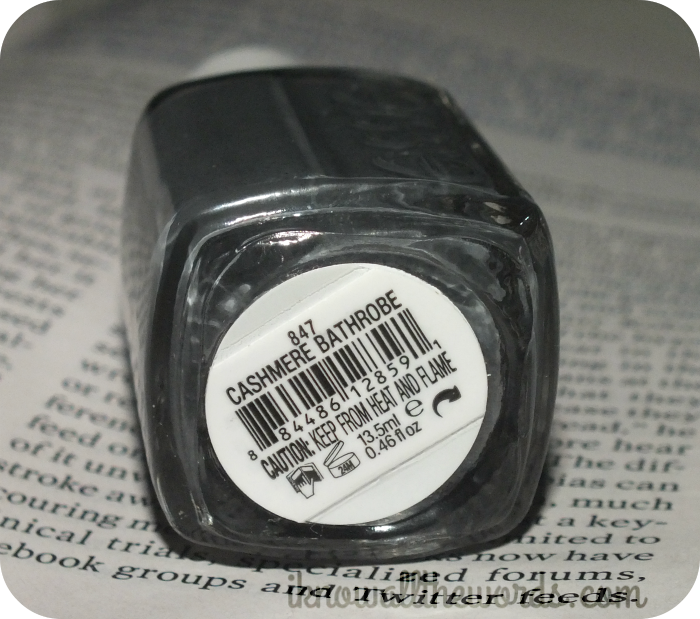 Read on for swatches! 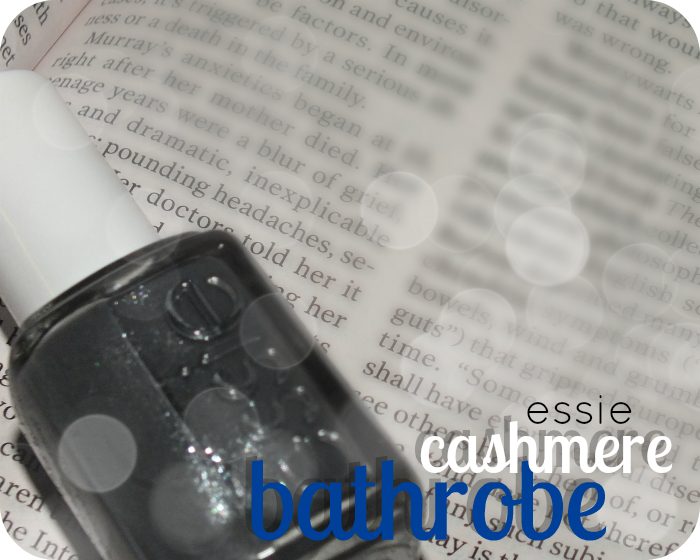 Cashmere Bathrobe is described as being a 'true flannel gray' but it also has a hidden shimmer. It was the shimmer that lured me in; okay so I love gray too, but the silver and blue shimmer made this deep gray so much more unique. Unfortunately, the shimmer is quite hidden and doesn't give the same glow I was expecting. Don't believe all the swatches you see online ladies, this isn't as shimmery as some have shown. Still a nice shade, but a touch more shimmer would have made this even better. Did you pick up any shades from the For the Twill of it Collection?